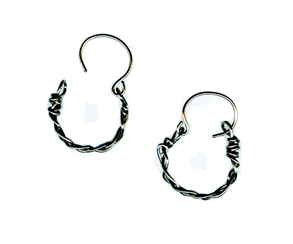 These handcrafted braided hoops are�made with 100% titanium wire (nickel free). These earrings are made with 20 gauge wire, the standard earring post size. These are ultra lightweight earrings.